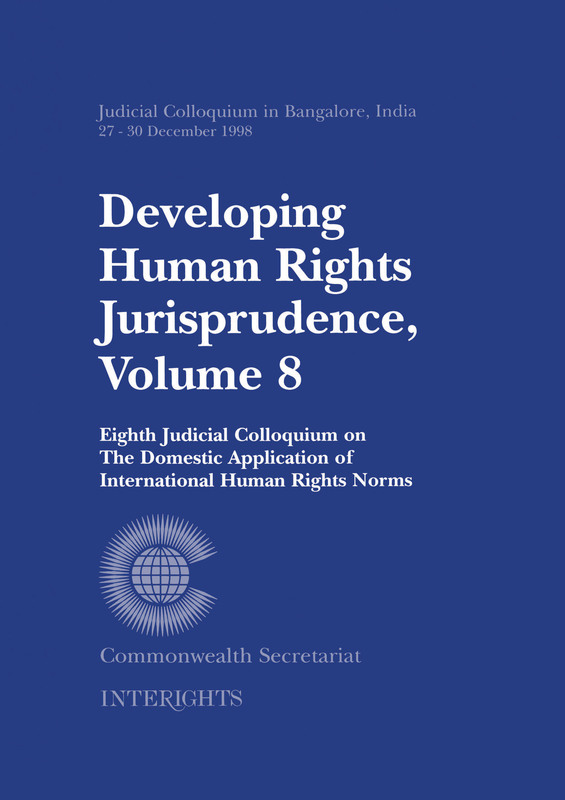 This volume contains the papers presented at the Eighth Judicial Colloquium of the Domestic Application of International Human Rights, held in Bangalore, India on 27-30th December 1998. This meeting marked the culmination of a series of colloquia started a decade earlier. Participants were drawn primarily from among senior judges of the higher courts of several South Asian countries – Bangladesh, India, Pakistan and Sri Lanka – and from other Commonwealth countries – Australia, Canada, New Zealand, South Africa, United Kingdom and United States. Several lawyers from the Commonwealth were also involved in the discussions. As with previous colloquia, this meeting focused on the subject of the domestic application of international human rights norms, and the extent to which these inter-relate with national standards for human rights protection.